We love Berlin very much – it sends a different electronic music vibes to the whole world nowadays. Every DJ which comes from Berlin bringing that sophisticated mood and big passion for the music with them. 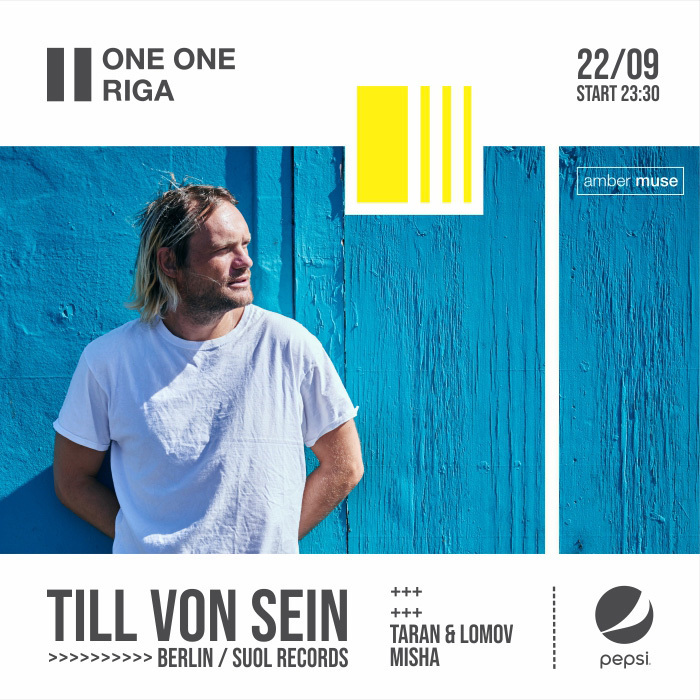 Till von Sein is one of our favorites who always create a perfect synergy at every party he plays. Get ready to welcome him in Riga again this month. On door: €8, ISIC/RSU/ESN/RISEBA students €5. GDPR notice: Pics and videos captured during party will be used in online and social media.